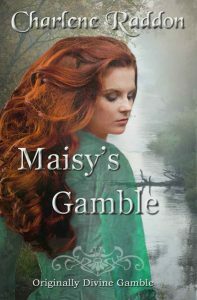 I’m currently organising a blog tour for Charlene Raddon with her Western historical romance, Maisy’s Gamble. Thrown together by circumstance and a need they can’t deny, Maisy and The Preacher must take a chance on destiny and each other. They share a common enemy, but they will discover nothing is more dangerous than gambling with the heart. Maisy’s Gamble is available now on Amazon UK and Amazon US. The tour runs from 23rd – 27th July (weekdays only). I’m looking for five blogs which will host guest blogs or interviews. Review copies are also available.